I was recently talking with the talented Ryan Cartlidge from Animal Training Academy about wellbeing in animal care professionals. One of the topics we discussed was dealing with the stress associated with living with a challenging animal. My dear dog Velvet experiences anxiety so I can very much appreciate the stress experienced by those who live with anxious or reactive animals and the challenges associated with managing these conditions. I, therefore, thought I’d take this opportunity to expand on the topic here. Let’s begin by talking about stress. What is stress exactly? Stress, essentially, is a response to a demanding situation and it’s important to remember that not all stress is bad. Stress can actually be quite motivating. For example, imagine you have an upcoming exam, if you felt little stress, and instead felt indifference towards it; you most likely wouldn’t spend any time revising. The stress response can also save our lives and keep us from danger. For example, imagine a dog reacts aggressively towards you and lunges forward teeth bared ready to bite. Your stress response will switch on in reaction to the potential threat. When our stress response is switched on several things happen in the body. Your heart rate increases. It pumps harder and faster. Muscles become tense and ready to flee or fight. Senses become heightened. The body is flooded with adrenalin and cortisol and it becomes turbocharged. All these changes and more allow you to quickly get out of the way of the incoming jaws and move to a safer location. The stress response is designed to be short-lived. When the threat is gone our body returns to its ‘rest and digest’ state. 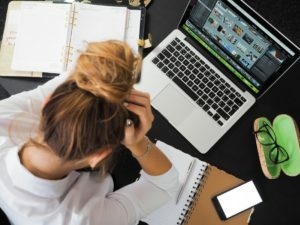 But, when we have chronic stress and our stress response is constantly switched on, it can have a detrimental impact on our mental and physical health. Caring for a pet that is chronically anxious and reactive is stressful. If not properly managed, the situation may lead to chronic stress and even caregiver burden. Caregiver burden describes a negative state of wellbeing which arises in response to unrelieved stress in coping with the challenges associated with providing informal care for a sick family member. Recently, caregiver burden has been demonstrated in owners caring for chronic and terminally ill companion dogs and cats. These owners also reported elevated levels of stress, depression/anxiety and reduced quality of life. To my knowledge, research investigating the existence of caregiver burden in owners of anxious companion animals has not yet been carried out but anecdotal reports certainly suggest that caregiver burden exists in owners of anxious pets. Why is caring for an anxious pet so stressful? Living with and caring for an anxious pet can be rewarding but it can also be challenging and stressful. There are a number of reasons for this. I will describe just four of these but I’m sure those of you that live with an anxious companion animal could probably add many more reasons to this list. First, owners living with an anxious or reactive pet in the home have little opportunity to rest and may be constantly on guard. Owners may be constantly monitoring their companion’s environment, looking for any changes in behaviour, ensuring their environment is low stress and routine. They may also be extra vigilant when visitors come over or may even be reluctant to have visitors over at all. 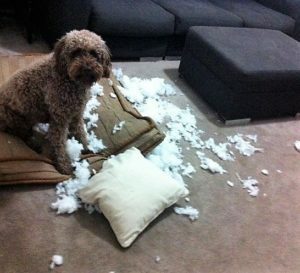 Even when owners do leave the home, some may be stressed and worry about barking while they are away or about returning home to a house that has been damaged from chewing or destructive behaviour or soiled by their companion animal while they were away. Destructive behaviour is just one of the reasons why caring for an anxious pet can be stressful. Photo credits to my dog Velvet for demonstrating this behaviour so eloquently! Second, living with an anxious or reactive pet can impact on the human-animal relationship and this can be both stressful and sad. For example, some owners may have had preconceived ideas about what their life was going to be like when they first brought home their furbaby only to find that the reality is entirely different. Situations involving dog aggression, snaps or bites, for example, may cause some owners to be fearful of their own dog or fear that their dog may harm their children. They may, therefore, no longer see their beloved companion as the docile furbaby that they once knew. There can be an element of grief involved because the relationship that was once shared may no longer be the same. A third reason for why caring for an anxious pet so stressful is because stress is contagious. This is called emotion contagion. It’s an unconscious reaction where one experiences the same emotion that is being observed. To illustrate, have you ever been around someone who is really cheerful and find that they lift your mood? Just like positive emotions are contagious, negative emotions are too. Research has demonstrated that simply watching someone stress out significantly increases cortisol levels in the observer. When my dog experiences high levels of anxiety and begins to pace and pant, I’m acutely aware that my stress levels increase in response. This brings me to my fourth point. Being exposed to and having knowledge that a beloved companion and family member is suffering, is hard. It’s tough for owners to see a companion, that they love so much, suffer. 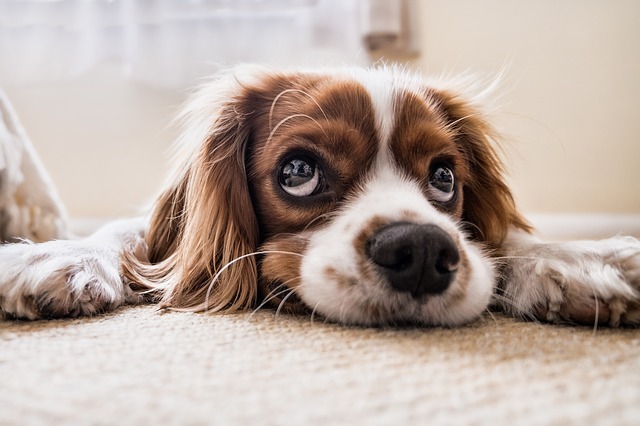 Our companion animals can’t tell us what’s wrong or how to fix it and this can lead some owners to feel at a loss for what to do or how to relieve their pet’s suffering. They may feel particularly helpless when anxiety is long-standing, generalised across multiple situations and chronic. How to manage the caregiver stress. Acknowledge that this is a stressful situation and give yourself permission to feel negative emotions like anger and sadness. Accept these emotions without judgment. These are very normal emotions in response to a tough and demanding situation. Avoid piling on criticisms in response to these negative feelings by saying things like “I’m feeling angry or resentful and this must mean I’m a terrible owner”. It is helpful to also avoid blocking or denying these negative emotions. This is because if negative emotions are actively denied or avoided they may rebound and return tenfold. Acceptance, on the other hand, leads to better coping and lower levels of negative affect and anxiety in the long term. Self-compassion is the ability to recognise suffering in oneself and take steps to ease that suffering. Many companion animal owners who have anxious pets can blame themselves for the situation. Be kind to yourself. Practice self-compassion by imagining what you would say to a friend who was experiencing a similar situation. Think about what you would say to that person. Write down the words and read them out loud to yourself. If you recognize that your stress levels are increasing engage in some ways to find some calm. Practising self-calming strategies can not only make you feel better but your pet may also feel calmer in return. One useful stress reduction strategy is called four square breathing. Simply breathe in for the count of four. Pause for the count of four. Breathe out for the count of four. Pause for the count of four. And repeat. 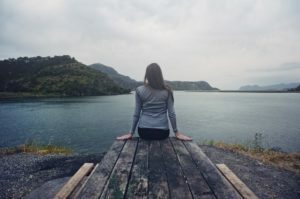 You can read about additional ways to find calm here. You are not alone. Reach out for support. Often when we think of support we may think about calling a friend and talking about what’s bothering us. While this form of emotional support is valuable, there are many other forms of support which can help you manage caregiver stress. Think about support in four ways: Practical, Emotional, Educational and Respite. A useful way to remember this is to use the PEER acronym. Find ways you can get practical support. Perhaps you need help giving medication or someone to check in and/or play with your pet while you’re at work. Whatever it is don’t be afraid to ask for help. Get emotional support. Talk to understanding friends, colleagues and other companion animal owners about what’s going on. You may find there are others who have been in similar situations to you. This can be validating and decrease feelings of isolation. Consider joining a face to face or virtual support groups or speak with a counsellor or other health professional who specialises in the human-animal bond. By speaking with a professional, your individual circumstances can be taken into account and together you and the counsellor or health professional can come up with additional strategies to help you cope and get the support you need. Get expert advice. There are a number of professionals available who can help you and your anxious pet. The first thing to consider is to take your companion animal to a veterinarian for a health check-up to rule out any physical reasons underlying the anxiety. Once physical reasons for anxiety have been addressed, it is useful to engage the services of a professional who specialises in animal behaviour. There are a number of experts available who work in this field including veterinary behaviourists, registered veterinary specialists in behavioural medicine and animal behaviourists. These experts can help you review available options, treatments, and management strategies so that a solution can be found that meets your needs and the needs of your pet. 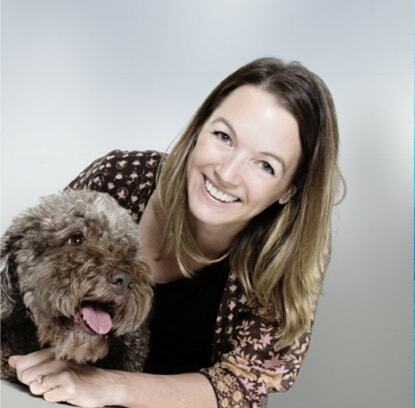 Two experts I have had the pleasure of working with are Dr Jacqui Ley, a registered specialist in veterinary behavioural medicine (veterinary psychiatry) and Dr Kate Mornement, an animal behaviourist and consultant. I, myself, am so grateful to both Kate and Jacqui who have helped me and continue to help me manage my dog’s anxiety. Call a timeout when you need to. Caring for an anxious pet can be emotionally and physically demanding so it’s important to take time out to rest and find respite. Spend time with friends and family. Engage in activities that relax and reenergize. Take a break. If you’re worried about leaving your anxious pet, there are a number of services which are available to help you care for your companion while you’re away. Depending on your dog’s level and type of behavioural issue, you could consider using a doggy daycare service like Diggiddydoggydaycare or boarding facility. You could also consider using an in-home care service like Wizards of 4 Paws who specialise in caring for high needs companion animals. Before you select your service, investigate your options by inspecting the facility and meeting with staff. This way you can have peace of mind while you’re away. Speak to the staff about your pet’s condition, their needs and any medication they may require. Looking after an anxious pet can be rewarding but it can also be challenging and stressful which, if not managed, can lead to caregiver burden. Stress is a response to a demanding situation. Acknowledge the stress and use it to motivate you to get the help you need. Managing your stress effectively will help prevent caregiver burden and promote your wellbeing which can have positive flow-on benefits for your companion. Watt, D. F., & Panksepp, J. (2016). Psychology and Neurobiology of Empathy. Hauppauge, New York: Nova Science Publishers, Inc.